The rise of the craft movement created an interest in hand made aprons, both full and half aprons. Once again, homemade aprons show up at church bazaars, and are a popular sale items on Internet craft sites like Etsy. 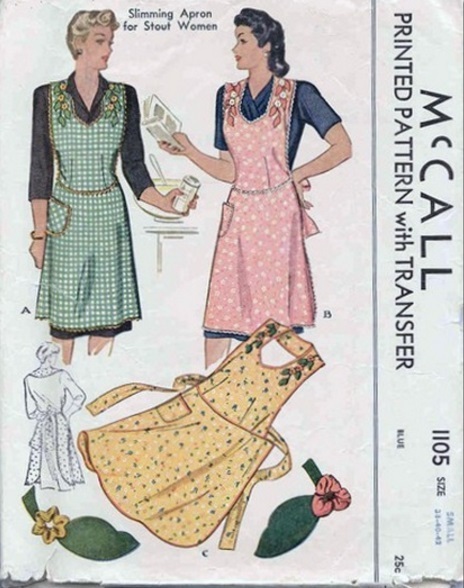 An interest in retro fashions and the vintage look has induced young women to take an interest in old fashioned style aprons. Pattern companies offer new versions and reprinted versions of vintage styles. The apron has been around for a long time and has seen several incarnations; most of us have several - for cooking, for craft work, or for holidays. They are, and will probably remain practical and sentimental favorites - totems of craft, hard work, with a bit of showmanship thrown in for good measure.